Pure Empathy is Gold. Spend it wisely. Do not misspend your empathy. Empathy is tremendously valuable, and should be treated like Krugerrands—pure gold coins. It should be given only where it will be honored, appropriately valued, and treasured. You wouldn’t take a pocketful of Krugerrands and throw them into a cesspool, would you? 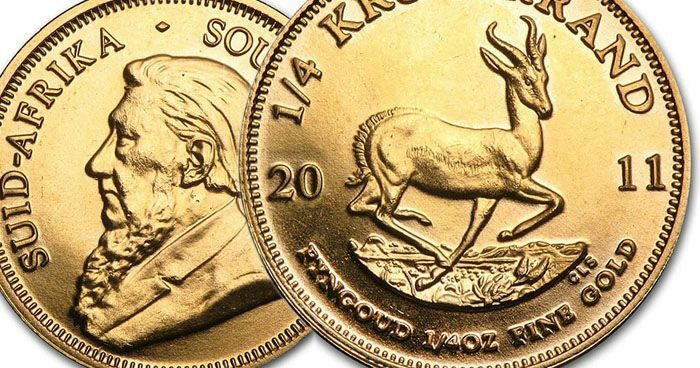 To give empathy to a person who trounces it repeatedly by word and action is the same as the Krugerrand illustration. Does the covert narcissist grieve the loss of the relationship? You’re walking down the street when suddenly a stranger approaches you and violently attacks you. Not much pre-planning or strategy involved. Completely random. No association with you; you were in the wrong place at the wrong time…once and then gone. Now consider the attack by intimate betrayal abuse. This person worked their way in with insidious intent under a mask of trustworthiness….into your home, your inner circle, your finances, your mind, your choices, your conception of yourself and of people you’ve known for even decades. This person methodically twists and maligns your very psyche, brutalizing you under the guise of “love” and “partnership”–and repeatedly does so on purpose over long expanses of time. Which attacker is worse—the one who chooses violence with no forethought, or the one who plots and plans cruelty and hides it behind a veneer of I love you?? ↪️And is the next victim “better” than you? Would you “miss” the attacker in the street?? Would you long for the attacker to return? Think this through.. the betrayal attacker is the far more vicious perpetrator. …like sharks, once they smell blood in the water, they “want” the injured, struggling fish. Yes, it’s done purposefully. Everything they do or plan is for one goal: Power. To manipulate others and swing their emotions from joy to sorrow is their high. And no, his disorder is not curable by any means. This is permanent. You, however, can heal …but not so long as you continue to cleave to him. To do so is to try to have your home in a nuclear reactor. Not everyone we lose is truly a loss. This person does not merit the high value you thought. The person who truly has value is you, but you’ve never acknowledged it in yourself. You are a lovable, valid human being…him not seeing it deeply devalues HIM, not you. Stop measuring yourself by a profoundly flawed barometer/gauge. Self-love will literally save your life. It forms the foundation of every decision and choice…how you eat, the job you choose to work, your long-term health, and what sorts of people are given permission to be in your life. We are sold this unhealthy and false concept of “Be coupled or you’re nothing” from every crevice of our society. It’s on the radio, it’s in movies, it’s in advertising … we’re pummeled with this idea which feeds fear. Meanwhile the nourishing, stabilizing concept of self-love and acceptance are woefully under-taught, and even shamed as egomania or being stuck-up. Nothing could be further from the truth. This is where your work MUST start. Today. Abuse WILL find you again if you don’t ally with yourself. Guaranteed. To disregard yourself is to abuse yourself…think about that. And yes, some other abuser will pry his way into your life, too, if you were to elect not to address this in yourself. You cannot have any further contact with abusers and their toxicity. You can’t heal from a poisoning by continuing to take gulps off the bottle of strychnine. How do we get stronger as we recover from narcissistic abuse? How do we learn to deflect the manipulation and oppression tactics as we’re preparing to leave, have left, or are still sometimes dealing with contact due to underage children? Ok, let’s look at this in terms of progressive strength training. Your goal is to achieve a level of strength (wisdom/knowledge about the disorder coupled with self-love and understanding that the abuse wasn’t your fault). A goal that makes you able to move something away from you that is currently immovable; holding you down whenever it appears. You, therefore, have to train up, gaining the power to manipulate that weight away from you, rather than it manipulating you into any kind of submission. Your progressive training is done by daily procuring more and more knowledge about this disorder, progressively increasing your knowledge. Then taking that knowledge and practicing its uses against the ways the manipulative “weight” is going to try to dominate you. We train delts by both pushing (overhead press) and pulling (delt flyes). We prepare those tissues to be strong and capable no matter what direction the workload may be coming from, yes? It’s the same with oppression/manipulation from an abuser. Abusers both “pull” (manipulation, hoovering, false compliments, etc. ), and “push” (sudden accusation, projection, cruel comments, etc.). Train yourself to recognize the faked, syrupy “pull” attempt (…that they’re attempting to trick you into vulnerability for an upcoming attack so they get their power high), and recognize in this that there’s no sudden change in them, no new love of you (or anyone ever—they are incapable of human devotional bonds), and you thereby become the improved muscle group capable of deflecting the weight rather than the weight manipulating you. Train yourself in recognizing/properly deflecting the manipulation. And for recognizing the “push” moments when they’re suddenly cruel, train to see that this is the baseless attack where you’ve done nothing to deserve it, but they seek to push all others down so they can feed their power high…you’re just the target of the moment. Recognize this, and you become the improved muscle group capable of deflecting the weight rather than the weight pushing you down. Train yourself in recognizing/properly deflecting the oppression instead of thinking you “did something wrong”. Are you codependent in a toxic relationship? Start your narcissistic abuse recovery here for free. A very precise comparison in our view of the narcissistic abuser is to compare them to vampires. These people do indeed “extract” from us our energy and emotions to the point of exhaustion, financial resources, health, and they also draw away from us our sense of self, and drain away other relationships such as family and friendships (sometimes not allowing their victim to maintain those relationships at all). Perhaps you’ve experienced that particularly alluring yet covertly toxic moment when you do indeed see right through your abuser’s tactics (you may even have left or they left you), but now they’ve flipped that switch again…wanting forgiveness, to come back, promising the very moon itself. “Let me in” – the words seem to form a fog around you. Consider this moment like a vampire movie, when the main character is awoken by a horrific yet familiar face floating at their bedroom window, woefully begging for that person to unlock the window, to allow the vampire in, accompanied by complaints of the cold, begging for your help, or giving reminders that this now ghastly-faced creature was once beloved. If that story’s character is so enamored in that moment that they unlatch that window, what’s next? The vampire’s true intent is revealed once inside, and another victim is taken. What happens instead if the window remains locked and measures are taken to instead eradicate the vampire? If your abuser has drawn narcissistic supply off you again and again but is now demonstrating the steps of the falsified, trance-like lure for the above-described goal, leave your “window” locked. Keep your awareness high. Create and maintain your boundaries. Your anti-abuse “crucifix” is making a full, undaunted use of anti-sociopath education…and the drive to pursue that knowledge is self-love/keeping yourself safe against any current or future vampires. Are you in a toxic relationship with a narcissist? Start your recovery right here for free. Not sure? Take this quiz to find out.